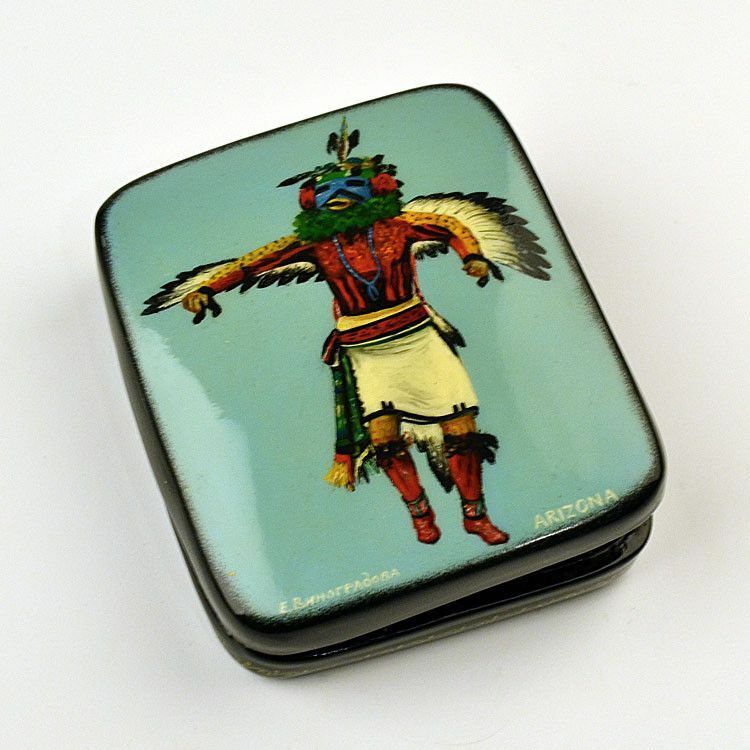 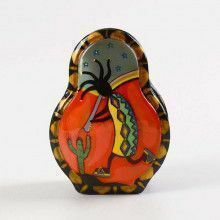 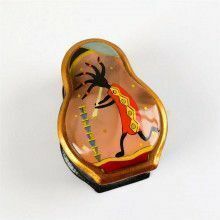 The Hopi Eagle Kachina represents strength and power, and has been wonderfully painted on this Russian-made lacquer box. 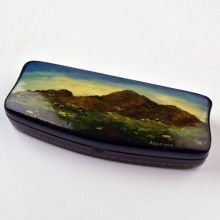 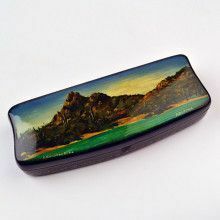 This unique box is made of paper-mache, has many layers of lacquer, and is truly a one-of-a-kind. 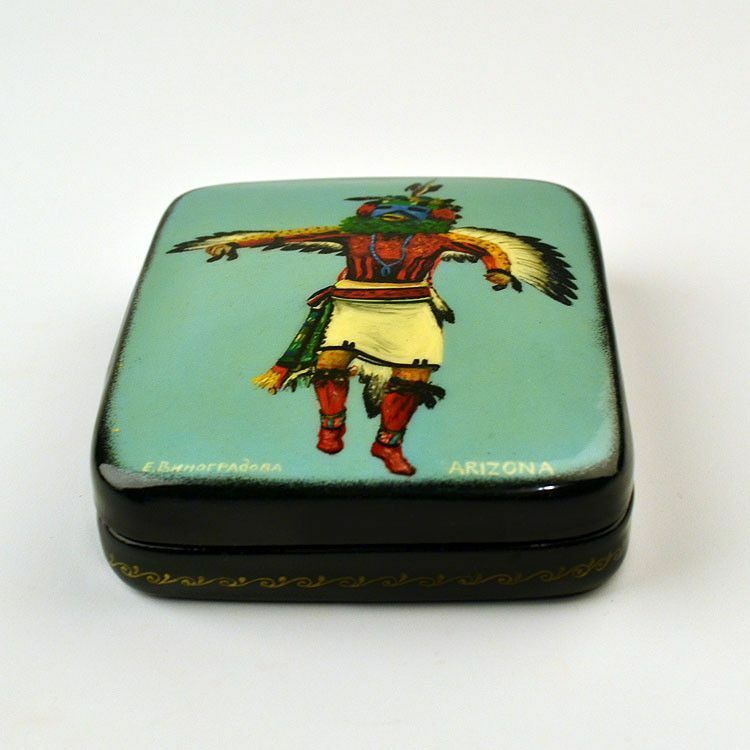 Shows a Native American Kachina in Eagle costume, set against a teal-blue Arizona background. 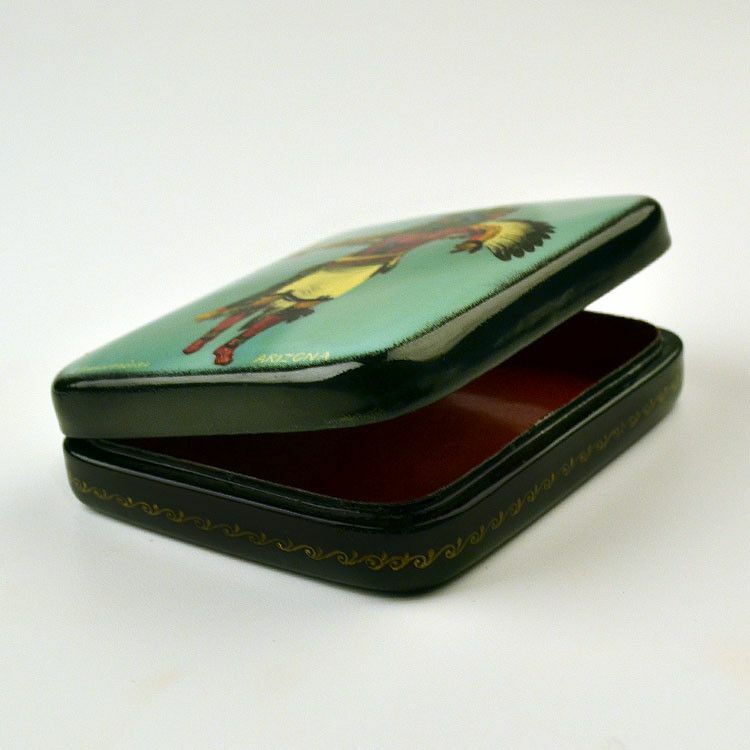 This glossy lacquered box is hinged and is about 3 3/4" x 4 1/4" in size, with a depth of about 1". 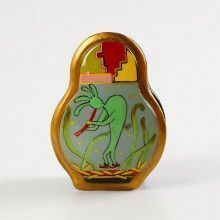 About 3 3/4" x 4 1/4"